You know when your so close to something ending and you just can't wait for it to be over? This is legit how I feel about school right now. I just can't wait for next week to be over so I can get my exams done the week after that and then say adios for the semester. I've got some nail art that I've never tried before but have seen done quite often. 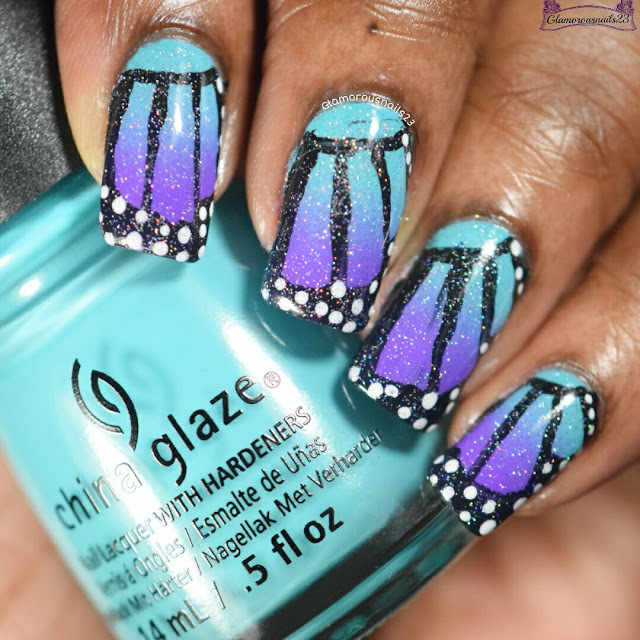 Butterfly Wings. Let's get to it! 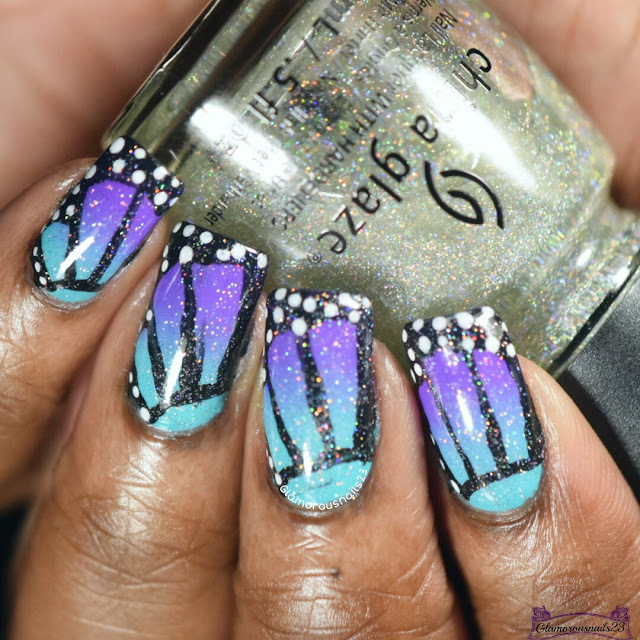 This is another one of those manis that I kept saying that I was going to do but kept getting put to the back burner. Well no more! I wish that I had taken a picture of the gradient before I went over it with all this freehand. I'll definitely be using these two colors together for a gradient in the future though. My lines could have been straighter but hopefully the next time around they will be. Have you ever tried doing butterfly wing nail art? 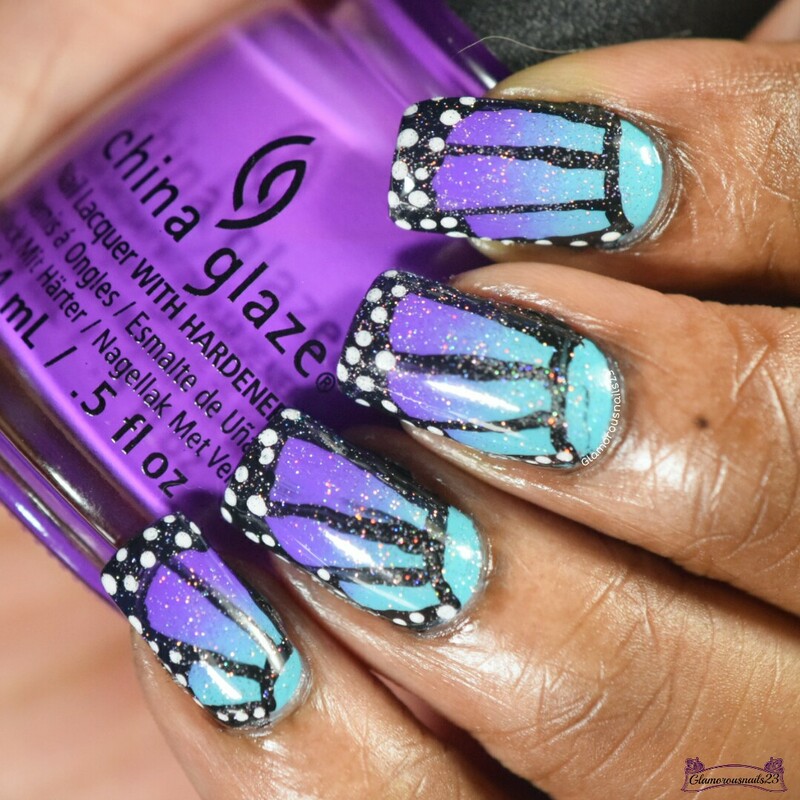 Have you ever tried freehand nail art? Until next time. OH WOW, LADY!! You did a beautiful job. The colors are incredible! I love the gradient you did underneath. Gorgeous! Very cute! Good luck with your final exams! Your comment legit just made my day! Thank you!! Great job on the mani! I've always wanted to try this! !